Strong-scented Eragrostis. Snake Grass. 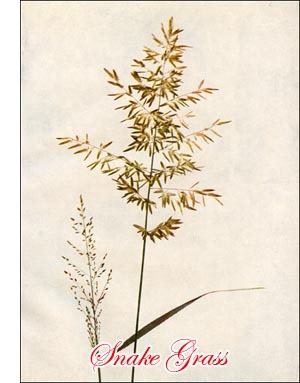 Eragrostis megastachya (Koeler) Link. Stem 6'-30' tall, erect or spreading, usually much branched. Sheaths usually smooth, hairy at throat. Ligule a ring of short hairs. Leaves 2'-8' long, 1"-3" wide, flat, rough on margins. Panicle 2'-8' long, densely flowered with large spikelets. Spikelets 8-40-flowered, 2 1/2"-8" long, flat. Outer scales nearly equal, acute; flowering scales obtuse, 3-nerved. Stamens 2 or 3. Grass unpleasantly scented. Cultivated lands and waste places. July to September. Throughout nearly the entire United States, and in Ontario.